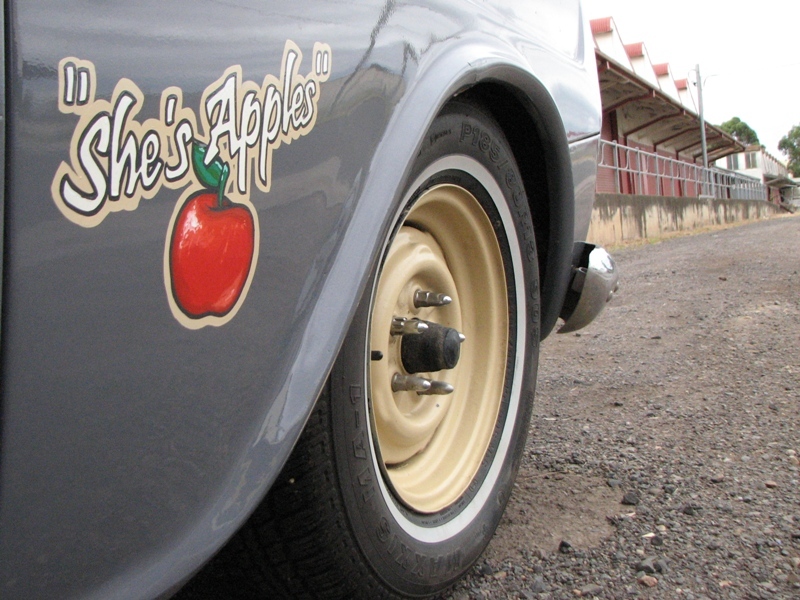 EK update – She’s Apples! Since my original post on the EK ‘shop truck’, I’ve made a few changes to personalise it a little and give it more personality. 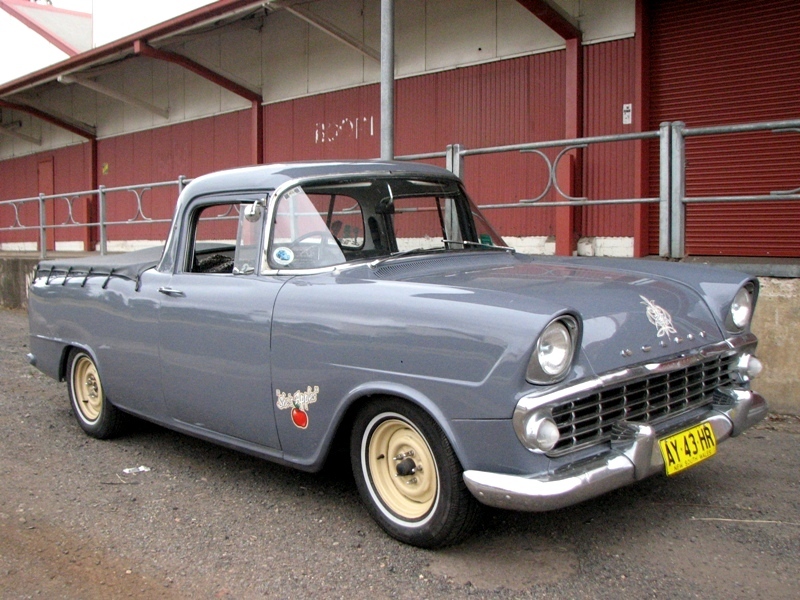 First of all the steelies have copped some beige paint for some colour. 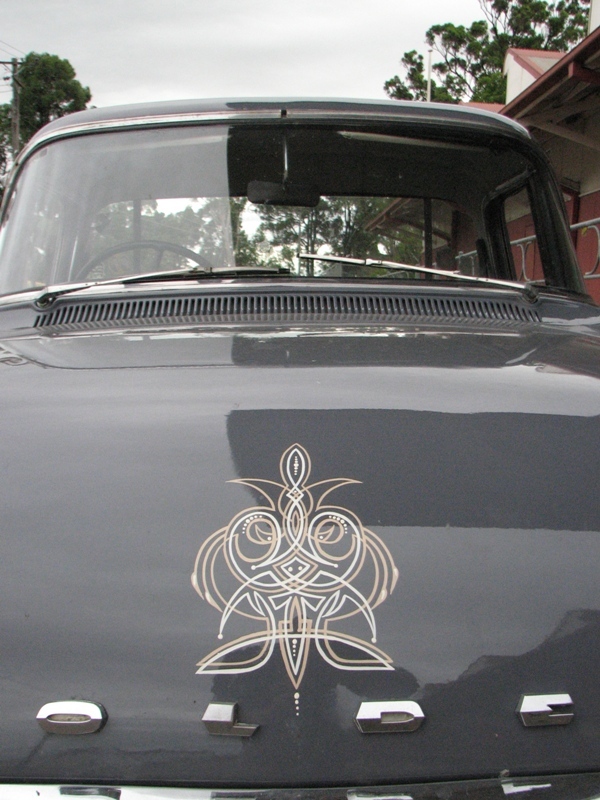 And last weekend I got Sydney based pinstriping legend ‘Neo Dutch’ to apply some of his magic to her. As with most cars, she’s a continual work in progress! My grandpa’s brother was a ground crew member for 22nd Squadron back in WWII, which utilised Boston bombers. ‘She’s Apples’ was just one of the Bostons in the Squadron. The Bostons served with No 22 Squadron where their operations became known as “Boston Tea Parties” and individual aircraft became legendary. 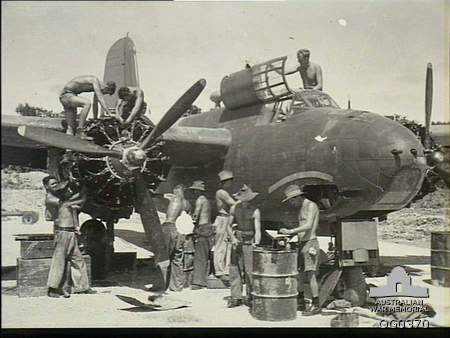 Wing Commander Learmonth’s “She’s Apples” set a South-West Pacific bombing record; Flight Lieutenant Williamson’s A28-5 was belly-landed with a bomb load and was back in operations within hours; and, most famous of all, Flight Lieutenant Bill Newton’s A28-3 crashed off Salamaua on 18 March 1943, prior to his post-humous Victoria Cross award. Learmonth who piloted ‘She’s Apples’ played a key role in the famous Battle of the Bismarck Sea, and Learmonth Airport in WA has been named in his honour. 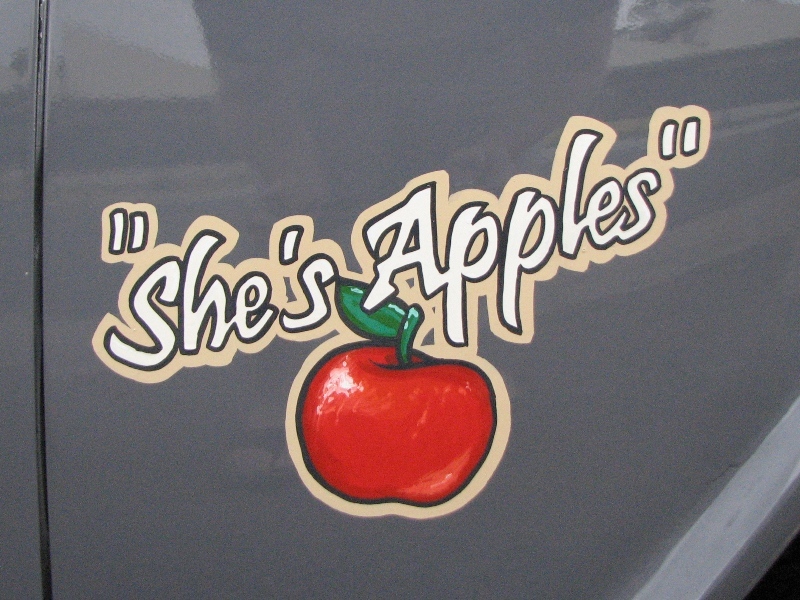 When he and the crew got back from missions they were asked how the plane flew, and the answer was always a cheerful ‘She’s the apples’, hence the name! 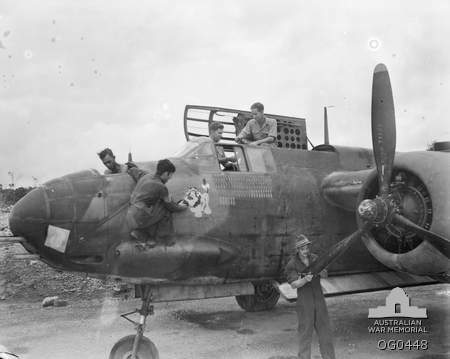 The plane was also one of the few Bostons to survive the war, only to be scrapped afterwards. Here’s my grandpa’s brother working on one of the Boston bombers (he’s in the light pants facing the plane in the middle). Love it … nice stripes and a great idea for the name.